Tadpole Hitler | Derek fan site: Tadpole Hitler T-Shirts Now Available! 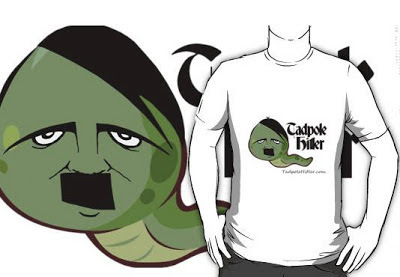 Tadpole Hitler T-Shirts Now Available! Keeping checking the t-shirt site and follow me on Twitter@tadpole_hitler for the latest designs and general Derek fun!